An embroidery artisan who created magic on fabric till a year ago and now shunned by neighbours as the army's “human shield” against stone-pelters, Farooq Ahmed Dar is a broken man, struggling to pick up the threads of his life. 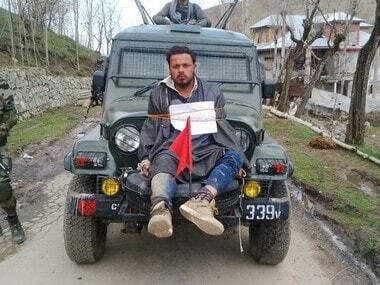 The Mehbooba Mufti government has declined to compensate Farooq Ahmed Dar, the "human shield" tied to an Indian Army jeep in April. 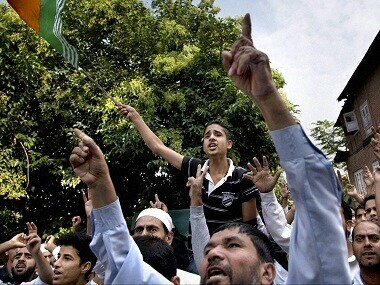 Jammu and Kashmir State Human Rights Commission chairperson Justice Bilal Nazki had directed the state government in July to give the compensation amount to Dar. 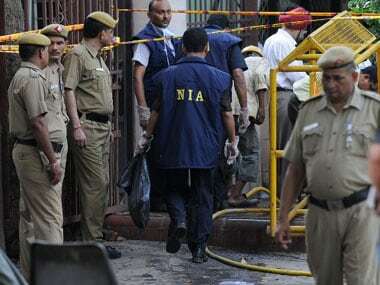 NIA seized over Rs 1 crore in cash, letterheads of banned terror outfits like LeT, and incriminating documents in raids conducted across Srinagar, Delhi, and Haryana. 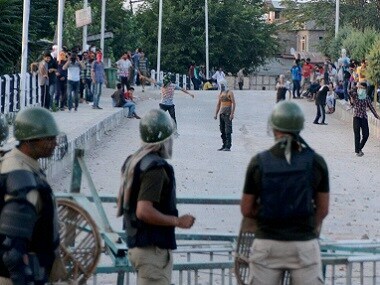 Taking cognisance of a complaint alleging rights violation in the 'human shield' incident involving the Army in Jammu and Kashmir, the National Human Rights Commission (NHRC) has sought a report from the Defence Ministry seeking details of the action taken on it. 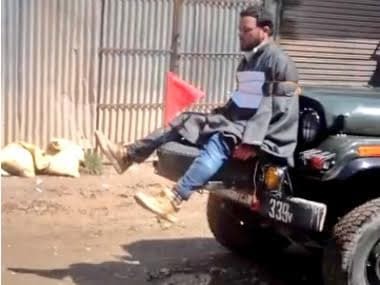 An army major, on whose direction Dar was tied to a jeep as a "human shield" against stone pelters in Kashmir, has been honoured.